Happy Easter 2019 from Yeading Infant and Nursery! This Friday, Yeading Infant and Nursery School are celebrating Red Nose Day with the rest of the UK. Children can wear their own clothes and bring in a donation to support this worthy cause. We will be looking for children who can wear RED or something RED to celebrate the day. If you don’t have anything red, don’t worry, you can still wear your own clothes! Let’s see if we can raise as much money as possible for RED NOSE DAY 2019! Well, what a terrific time we had! Wasn’t it fantastic to see so many children and staff coming to school dressed as one of their favourite book characters? There was a real buzz if excitement around the school as the children took part in World Book Day activities including, a book quiz, a book swap and a humorous performance of the tale of ‘Old McDonald and the Three Little Pigs Plus,’ by the Booster Cushion Theatre. Fun learning continued on Friday when our visiting author and illustrator, Karin Littlewood told the story of ‘Immi’. to a spellbound audience during assembly. This was followed up by creative workshops with the children to encourage the age old tradition of storytelling. Below are photos of the event. Play Rangers Visit Yeading for fun outdoor activities! Below are photos of the activities. WE was founded in 1995 by then-12-year-old Craig Kielburger after he read a newspaper story about Iqbal Masih, a former slave who was murdered after speaking out against the horrors of child labour. The tale struck a nerve, and Craig knew he had to do something to help free other children embroiled in child labour. Along with his older brother, Marc Kielburger, he started WE Charity. More than 20 years later, WE Charity has expanded beyond the issue of child labour to include a sustainable model of international development, called WE Villages, that works to alleviate the root causes of poverty in nine countries around the world. Through a service-learning program called WE Schools, youth in North America and the UK are empowered to become change-makers themselves. The only way to get to a WE Day event is by taking action on one local and one global issue through WE Schools—you can’t buy a ticket. Yeading Infant and Nursery School have worked together to earn their way to WE DAY by working on local and global actions. WE CANNOT WAIT TO GO! Look to see who we will be joining in the WE movement – A-list celebrities, inspiring speakers and world leaders, mixed with uplifting stories of change from real people. Click Here for more information on WE Day UK 2019! Yeading Infants Achieves Flagship School Status! Yeading Infant School in Hillingdon has achieved IQM Flagship School status. 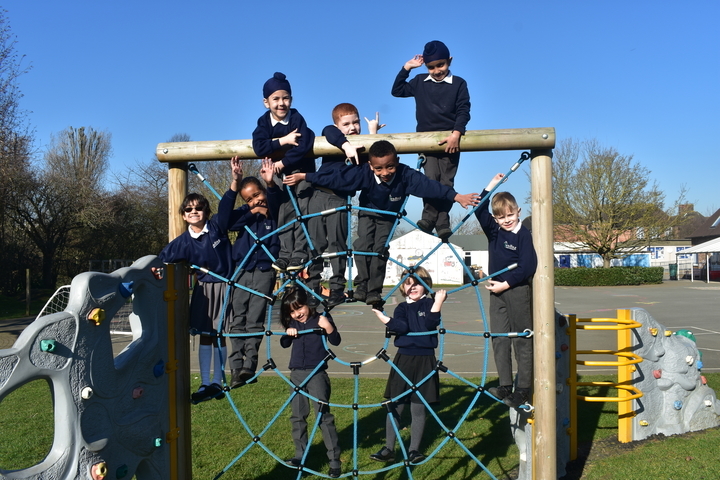 Yeading Infant and Nursery School is a diverse and caring four form entry school providing a safe and supportive environment. It has high numbers of pupils who have English as an Additional Language and Special Educational Needs and Disabilities. Its ethos combines inclusive values and growth mindset attitudes that permeate all of its work. This visit was the Year 3 IQM Centre of Excellence review. Pupils clearly enjoy coming to school, they are enthusiastic about their learning and are proud of their achievements. Their lessons are engaging with differentiated learning opportunities. Pupils that need them are able to access individual workstations with visuals to support them. There is a high degree of consistency in the learning experience within year groups. Working walls in classrooms are used well to support pupils’ learning with examples of work that are pinned up. All classrooms have worry boxes for pupils. Governors are well informed about the school’s inclusive work. They are involved in projects that the school is undertaking and have joined staff training events. They are aware of what the school do to ensure early identification of needs and support that is offered to pupils. They are proud of the school’s achievements. Parents feel supported by staff at the school and are grateful for the individualised support offered to their children. Parents report that there is an understanding about individual needs from all staff, including the catering team who know how to approach children who are reluctant to try a range of food. They feel that staff are approachable and that they can speak to any member of staff at any time. Parents of pupils with autistic spectrum disorder value the opportunity to meet other parents of pupils with the same needs. One parent who wasn’t sure if mainstream or specialist provision was most suitable, chose the school and is thrilled with the progress he has made. Her and her husband travel long distances to work but are reluctant to move home until he reaches the end of Year 2 as he is settled and doing so well at the school.